The Paris Agreement pursues efforts to limit the temperature increase to 1.5°C above pre-industrial levels, even though the 2°C target is quite ambitious. Assessment of technological and social conditions to achieve the 1.5°C target is inevitable, even as we discuss its feasibility. The Paris Agreement also mentions “to achieve a balance between anthropogenic emissions by sources and removals by sinks of greenhouse gases in the second half of this century, on the basis of equity, and in the context of sustainable development and efforts to eradicate poverty”. This side-event will discuss the feasibility of the net zero GHG emissions in the 1.5°C pathways on both a global and national level. The event will also kick-off a joint publication on the pathways for net zero GHG emissions consistent with the 1.5°C target. At the IGES/LCS-RNet side-event entitled “Is 1.5°C feasible? 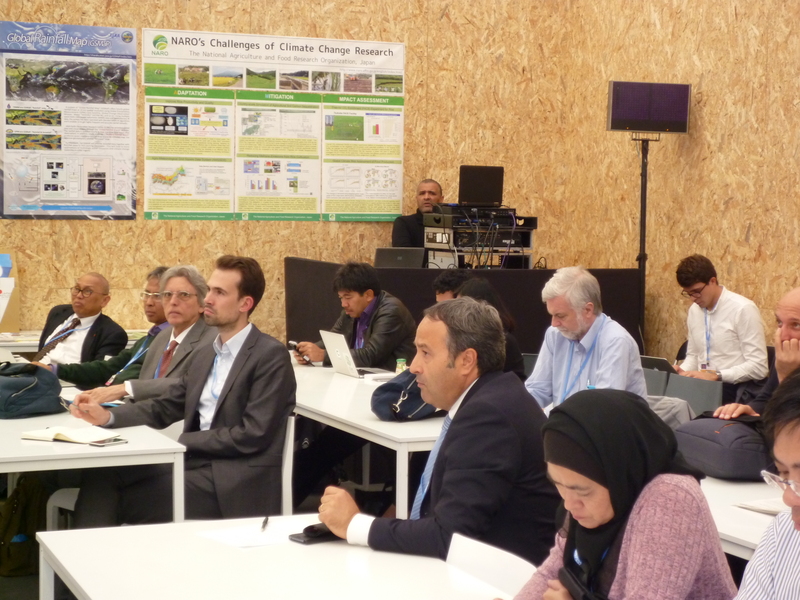 – Pathways for net zero GHG emissions consistent with the 1.5°C target” at COP22 Japan Pavilion, all keynote speakers and panelists pointed out that although it is not easy to achieve 1.5 degrees target, we have to promote green growth, finance, international cooperation, behaviour change, societal change, etc. All these are things we can do from now for the transition, rather than wait for future innovations. The speakers and panelists also stressed that education for future generations is crucial for future innovation. After the presentations by the keynote speakers and panelists, Prof. Jim Skea, Co-chair of the IPCC WGIII made a couple of comments; IPCC does not mention “1.5 degrees target”, so for the question on “Is 1.5 degrees feasible”, he would like to say that “it is very ambitious”. However, although it is quite challenging, to pursue such direction is quite “reasonable”, from a scientific point of view. In addition, so far, discussions on emissions from sources have been highlighted, but from now on, discussions on carbon sinks and absorption, such as forestry and land-use should be further highlighted. Lastly, Prof. P.R. Shukla, the other Co-chair of the IPCC WGIII wrapped up the session. He stated that now is the very last chance for us to pave the way to a net-zero GHG emissions world. In this regard, we should further promote actions taken by actors for transition. In addition, he called for cooperation from various stakeholders in developing a special report on 1.5 degrees by the IPCC.